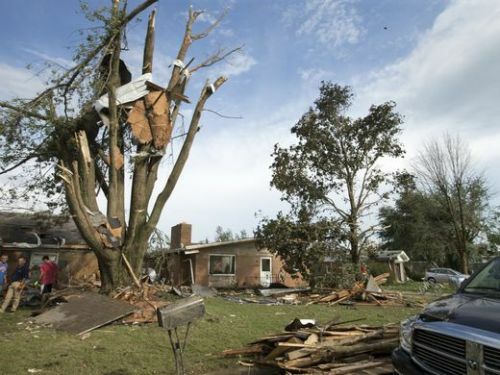 At least eight tornadoes ripped through Indiana Wednesday, the National Weather Service reported. More than 18,000 Duke Energy customers were still without power Thursday morning, more than 17,000 of those affected were in Kokomo, which weathered the worst of the storm damage. “We are very blessed to tell you we don’t have any serious injuries,” Howard County Sheriff Steve Rogers said during a news conference this morning. Rogers said just 10 to 15 people suffered minor injuries after storms that downed trees, power lines and buildings in Howard County. Eight confirmed tornadoes ripped through Hendricks, Boone, Hamilton, Tipton and Howard counties Wednesday night, the National Weather Service said. Six of the tornadoes were produced by a single line of “supercell” storm clouds. Two more thunderstorms produced separate tornadoes in Avon and to the northwest of Lafayette. The storms damaged homes and two apartment complexes in Kokomo, forcing about 220 people into temporary shelters overnight, Kokomo Mayor Greg Goodnight said at the news conference. “We’re all very grateful that there were no fatalities and no serious injuries,” Goodnight said. The damage followed a similar path to the tornadoes that struck Kokomo in November 2013, Goodnight said. “Our hearts are with the people who have experienced this twice,” Goodnight said. Earlier: At least two confirmed tornadoes ripped through Central Indiana on Wednesday, causing only minor injuries but damaging several homes and leaving more than 30,000 people without power, including 3,400 in Indianapolis. The most damage appeared to occur in Kokomo, where an EF-3 tornado leveled a Starbucks and tore roofs off of apartment buildings, causing city and Howard County officials to declare states of emergency. Wind speeds typically associated with an EF-3 can range anywhere from 136 to 165 mph, according to the National Weather Service. “Multiple lightning. The sky got black. Wind came through like a train, and everything went black,” said Bob Esposito, a Kokomo resident. An EF-1 tornado, which can reach wind speeds of 111 to 135 mph, also touched down just east of Crawfordsville in Montgomery County. Tornado watches or warnings were issued in more than 30 counties in Indiana, spanning from Owen and Putnam counties in the west and across the state line and into parts of eastern Ohio. They extended as far north as Huntington and as far south as Bloomington and Columbus. About a dozen people suffered minor injuries across the state, said Indiana State Police spokesman Capt. David Bursten, with most of those injuries in Howard County. A 5-month-old child suffered a deep cut in Montgomery County, Bursten said. The storms pulled Gov. Mike Pence off the campaign trail in North Carolina and back to Indiana. The Republican vice presidential candidate visited the state’s emergency operations center in Indianapolis. Pence announced that he and Lt. Gov. Eric Holcomb plan to survey storm damage in Howard and Montgomery counties on Thursday. Pence said he would remain in the state “as long as we need” to make sure Hoosiers received the support they needed. The full extent of the damage sustained in Kokomo — and the rest of the state — was still mostly unknown by sundown. “It’s a long process, especially when there’s a lot of damage to look at,” said Joe Skowronek, a weather service meteorologist. He added that the potential for severe weather would continue into Thursday, as the forecast included many of the same conditions as Wednesday. Thursday’s high was forecast to be 88 degrees with a 30 percent chance of storms. In Indianapolis, numerous storm warnings blasted through the day, urging Hoosiers to seek shelter after multiple funnel clouds were reported in the city and surrounding area. Tornado warnings remained in effect for much of the state until 9 p.m. The Indianapolis Department of Homeland Security tweeted that police confirmed at least three funnel clouds in the city. Funnel clouds were spotted near the Indiana State Fairgrounds and near 38th Street and Georgetown Road, as well as on the city’s east side in the 200 block of South Shortridge Road, according to the Department of Homeland Security. A tornado was reportedly on the ground on the city’s east side, near 21st Street and Ritter Avenue, but that remained unconfirmed by Wednesday evening. When Christen and Betancourt stepped outside to capture the scene on their phones, they saw three young children hunkered down at a bus stop. They brought the children inside the gas station and waited for the storm to pass. The severe storms also meant a longer day for thousands of Indianapolis Public Schools students. IPS officials delayed dismissing elementary schools until 5:45 p.m. because of the tornado warning, schools spokeswoman Kristin Cutler said. At Center for Inquiry School 27 at 545 E. 19th St., fourth-grader Jada Collins was the last student to leave. More than 400 students and 100 parents huddled in the hallways from dismissal time at 3:45 p.m. until 6:16 p.m. As the tornado warnings kept coming, then were lifted, the students and parents alternately relaxed, then curled-up against the wall, with knees bent to their chests and their heads covered with their arms, Principal Brandi Herbert said. The first parents to arrive in cars came right as the first warnings to take shelter came in, and Herbert invited them inside. All were glad to ride out the storm with their children, she said. The staff listened to the cackling weather radio in the principal’s office as it blared out warnings. Herbert said she kept the students informed with updates over the speakers and updated parents whose children take the bus about when they could pick them up. “It was back and forth, back and forth,” Herbert said of the warnings and the estimated times the children would be released. The students were given snacks. Extracurricular activities were canceled. Finally, just before 6 p.m., IPS gave the all-clear to send the children home. Jada’s father, Damon, 40, pulled up in a sport utility vehicle about 7 p.m. after a busy afternoon. His son Judah, a 5 year-old, was kept over at Joyce Kilmer School 69 and was in the car waiting for his sister when she hopped in. At the Indiana Red Cross regional headquarters in Indianapolis, a team of employees and volunteers were manning an operations center, while another 10 volunteers waited Wednesday for possible assignment in the Kokomo area. “We won’t have a good idea until tomorrow when we can get out and do damage assessment. We probably will see more people show up looking for help,” said Brooke Riester, workforce engagement manager for the Indiana chapter. The Indiana Red Cross has set up an emergency shelter at the Kokomo Event and Conference Center, 1500 N. Reed Road, where 200 people were being housed and fed by 9 p.m. Wednesday. Another shelter was opened at Walnut Elementary School in New Ross in Montgomery County. In Kokomo, Jonni Taskey heard a squirrel screech loudly from a tree outside her home on the 1000 block of Clark Street just after 8 p.m. She didn’t know why. The half-century-old tree slammed into an awning above her front door on its way down, but Taskey said they never heard the tornado, even when it was tearing through the street at about 3:30 p.m.
“We were watching out the back, and when I saw that swirling, the shingles and stuff, I said, ‘We’re getting in the closet,'” she said. Taskey, her husband, and their two dogs then took shelter. Beth Martin, another Kokomo resident, was able to get her dogs to safety just as the storm was ending. By sunset, the Cedar Creek subdivision was eerily quiet, save for the growling of a rare generator. State Police blocked each entranceway, allowing only residents with IDs to pass. Fallen branches dotted the road and thick tree stumps lay in many yards, with wood shards scattered. Kelly Glass, along with her husband and daughter, walked along a dark sidewalk, using an iPhone flashlight as a guide through the pitch blackness. Glass, from Windfall, hadn’t heard from her parents, who live in the subdivision. “They’re not answering their phones, so I’m just checking on them,” she said. She hoped, too, to take them home with her. Roy Snow, who lives in First Flats Apartments along the Cedar Creek edge, said he went out on his back patio to see how bad the storm was. “I saw the clouds flowing together, and they started swirling like a doughnut,” he said. That’s when he and other residents went into the basement. By 10 p.m., many were hanging out outside. With no power, no cell service and nothing to do, they all went outside to “deal with the issues,” he said. Nearby, Patrick Green walked from his home at Ashbury Apartments with a few friends, and a cooler. The death toll in the Italian earthquake stands at 241 as thousands of rescuers continue efforts to find survivors. Dozens are believed trapped in ruined Amatrice, Accumoli and Pescara del Tronto, in mountainous central Italy. Rescuers have advised journalists and bystanders to leave Amatrice urgently, as “the town is crumbling”, the BBC’s Jenny Hill says. New cracks appeared in the town’s hospital after strong aftershocks. Officials revised down the number of dead after earlier giving a figure of 247. The search for survivors went on through the night, amid hundreds of tremors and an aftershock which rocked already damaged buildings. More than 4,300 rescuers are using heavy lifting equipment and their bare hands. Many of the victims were children, the health minister said, and there were warnings the toll could rise further. The heaviest death toll was in Amatrice – 184, officials said. Another 46 died in Arquata, and 11 in Accumoli. 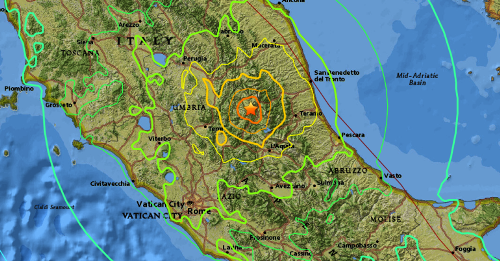 The 6.2-magnitude quake hit at 03:36 (01:36 GMT) on Wednesday 100km (65 miles) north-east of Rome. Some aftershocks were felt as far away as Rome. “We are sleeping in the car and there were shocks all night. When the biggest one came, the car started moving and shaking,” said Monica, a survivor from Amatrice. Two firemen burrowed deep into the rubble looking for a survivor. “It’s a dog,” one of them shouted out. “It doesn’t matter to us if it’s a person or an animal, we save it,” said Gianni Macerata, the fire officer in charge. A tented camp has been set up, as so many buildings are now unsafe. Prime Minister Matteo Renzi was chairing an emergency cabinet meeting on Thursday. The agenda included reconstruction plans for the devastated area. Rescuers said they had pulled five bodies from the ruins of the Hotel Roma in Amatrice. As many as 70 tourists were staying at the hotel when the quake struck. Many are feared to be in the rubble, though several were pulled out and given medical care. Many of those affected were Italians on holiday in the region. Some were in Amatrice for a festival to celebrate a famous local speciality – amatriciana bacon and tomato sauce. Late on Wednesday there were cheers in the village of Pescara del Tronto when a young girl was pulled alive from the rubble after being trapped for 17 hours. Almost all the houses there had collapsed, the mayor said. 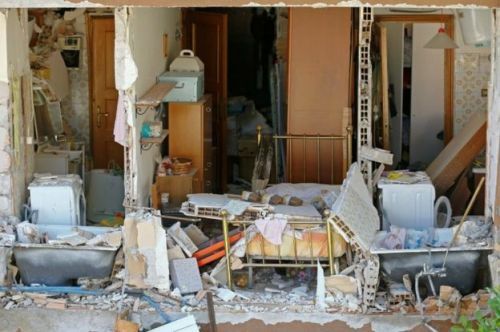 Among the victims was an 18-month-old toddler, Marisol Piermarini, whose mother Martina Turco survived the deadly 2009 earthquake in L’Aquila and moved away from there after the experience, Italian news agency Ansa reported. Ms Turco was being treated in hospital after being pulled from the rubble in the village of Arquata del Tronto, Ansa said. he mayor of Amatrice said three-quarters of the town had been destroyed and no building was safe for habitation. The country is no stranger to earthquakes: the 2009 L’Aquila tremor killed more than 300 people and in May 2012 two tremors nine days apart killed more than 20 people in the northern Emilia Romagna region. 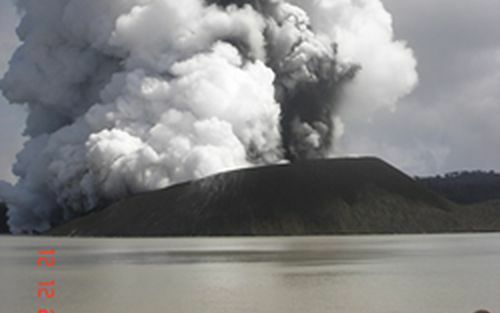 Vanuatu authorities have upgraded warnings around Ambae Volcano in northern Vanuatu. The country’s Geohazards Observatory has raised the alert to Level two on a scale of one to five which signifies the volcano is in a stage of major unrest. The observatory says volcanic activity could increase at any time over the next few days. It’s warned the local community, tourists and travel agencies to stay well away from the Manaro crater lakes to avoid the effects of volcanic gas, ash and other volcanic activity. The Department of Meteorology and Geohazards is closely monitoring the volcano which last erupted in 2009. AMATRICE, Italy — A strong earthquake in central Italy reduced three towns to rubble as people slept early Wednesday, with reports that as many as 50 people were killed and hundreds injured as rescue crews raced to dig out survivors. The toll was likely to rise as crews reached homes in more remote hamlets where the scenes were apocalyptic “like Dante’s Inferno,” according to one witness. The magnitude 6 quake struck at 3:36 a.m. (0136 GMT) and was felt across a broad swath of central Italy, including Rome, where residents felt a long swaying followed by aftershocks. The temblor shook the Lazio region and Umbria and Le Marche on the Adriatic coast. The hardest-hit towns were Amatrice and Accumoli near Rieti, some 100 kilometers (80 miles) northeast of Rome, and Pescara del Tronto some 25 kilometers further east. Italy’s civil protection agency said the preliminary toll was 38 dead, several hundred injured and thousands in need of temporary housing, though it stressed the numbers were fluid. The ANSA news agency said 35 of the dead were in Amatrice alone, with another 17 dead in the province of Ascoli Piceno, which includes Pescara del Tronto, for a reported total topping 50. The center of Amatrice was devastated, with entire buildings razed and the air thick with dust and smelling strongly of gas. Amatrice, birthplace of the famed spaghetti all’amatriciana bacon-tomato pasta sauce, is made up of 69 hamlets that rescue teams were working to reach. Rocks and metal tumbled onto the streets of the city center and dazed residents huddled in piazzas as more than 40 aftershocks jolted the region into the early morning hours, some as strong as 5.1. “We need chain saws, shears to cut iron bars, and jacks to remove beams: everything, we need everything,” civil protection worker Andrea Gentili told The Associated Press. Italy’s national blood drive association appealed for donations to Rieti’s hospital. But just a few kilometers to the north, in Illica, the response was slower as residents anxiously waited for loved ones to be extracted from the rubble. The devastation harked back to the 2009 quake that killed more than 300 people in and around L’Aquila, about 90 kilometers (55 miles) south of the latest quake. The town sent emergency teams Wednesday to help with the rescue. Residents were digging their neighbors out by hand since emergency crews hadn’t yet arrived in force. Photos taken from the air by regional firefighters showed the town essentially flattened; Italy requested EU satellite images of the whole area to get the scope of the damage. “There are broken liquor bottles all over the place,” lamented Gino Petrucci, owner of a bar in nearby Arquata Del Tronto where he was beginning the long cleanup. “Quakes with this magnitude at this depth in our territory in general create building collapses, which can result in deaths,” said the head of Italy’s civil protection service, Fabrizio Curcio. He added that the region is popular with tourists escaping the heat of Rome, with more residents than at other times of the year, and that a single building collapse could raise the toll significantly. In Amatrice, the Rev. Fabio Gammarota, priest of a nearby parish, said he had blessed seven bodies extracted so far. “One was a friend of mine,” he said. The mayor, Pirozzi, estimated dozens of residents were buried under collapsed buildings and that heavy equipment was needed to clear streets clogged with debris. Pope Francis skipped his traditional catechism for his Wednesday general audience and instead invited pilgrims in St. Peter’s Square to recite the rosary with him. A powerful magnitude-6.8 earthquake struck central Myanmar on Wednesday, killing at least four people and damaging buildings and ancient monuments, authorities said. The quake’s epicenter was located in an area west of the ancient capital Bagan and took place about 52 miles below the Earth’s surface, the U.S. Geological Survey said. Deep quakes typically cause less damage than shallow ones. The quake came on the same day that another measuring magnitude-6.2 struck central Italy, killing more than 100 people. 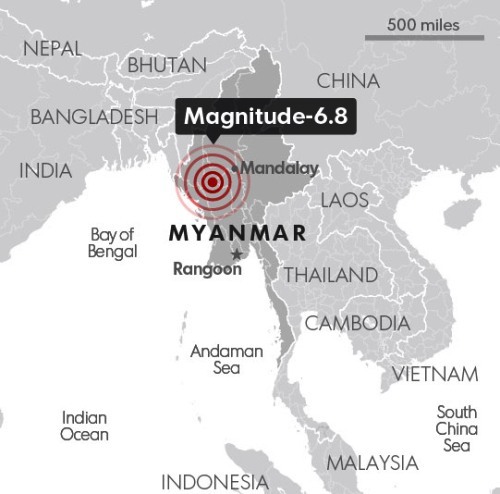 Tremors from the Myanmar quake were felt as far away as India and Thailand. A fire department official from regional capital Magwe told Reuters that two young girls were killed when a riverbank gave way in Yenanchaung township. Another person died when a tobacco processing factory collapsed in the town of Pakkoku, officials told the news agency. A strong earthquake struck central Italy early Wednesday, leaving people trapped beneath the rubble and terrified residents huddled outside, surrounded by collapsed buildings. At least 14 people died following the 6.2-magnitude earthquake, according to CNN affiliate RAI. The earthquake hit 10 kilometers (6.2 miles) southeast of Norcia at 3:36 a.m., the United States Geological Survey said. Its tremors rattled Rome about 100 miles away. In Amatrice, buildings collapsed and the mountainous town was left in ruins. He said there was no power, and it was crucial for rescue crews to get to the town. “We don’t have any more light (electricity) and it is urgent to clear the access roads,” he said. Charlotte Smith, coach of Elon University women’s basketball team in North Carolina, was in Rome with her players when the quake hit. She said their flight is still on schedule to leave for the United States later Wednesday. “It felt like the bed was on rollers,” he said. Gilroy, his girlfriend and other hotel guests waited outside in a clear area. “We’re going to wait for daylight and see what happens from there,” he said. About an hour after the earthquake, a 5.5-magnitude aftershock hit near Norcia, one of several that followed. “At that shallowness and magnitude of 6.2, we’re going to expect lots of aftershocks for next several hours and maybe the next several days,” said Jessica Turner of the USGS. Landslides are likely because the earthquake struck in a mountainous area, she said. Although the extent of damage and injuries was not immediately clear, the earthquake could be devastating. “Overall, the population in this region resides in structures that are a mix of vulnerable and earthquake resistant construction,” the USGS said. It described the buildings as un-reinforced brick with mud and concrete frame with infill construction. Deadly earthquakes have struck Italy in recent years. In May 2012, a pair of earthquakes killed dozens of people in northern Italy. 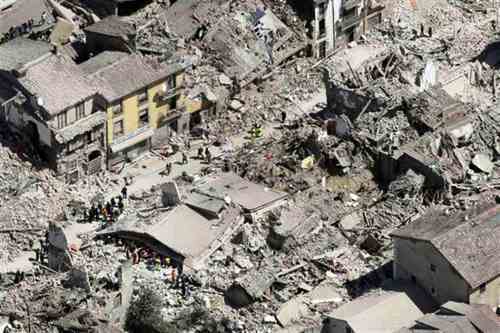 In April 2009, a 6.3-magnitude earthquake hit central Italy, killing 295. The earthquake Wednesday struck an area close to the 2009 earthquake. The US Embassy in Italy urged Americans to check-in via social media and let loved ones know they are safe. Australian scientists believe a super volcano active over 100 million years ago was so powerful it spewed tiny crystals across the breadth of the continent. It was not exactly the intended area of inquiry for researchers at Curtin University’s School of Mines but they recently stumbled upon the rather fascinating finding nonetheless. Dr Milo Barham from the Department of Applied Geology led the study, which originally sought to examine the geology of the Nullarbor Plain in remote southeastern WA in order to study how the southern margin of the country evolved after separating from Antarctica. However once they made the discovery of zircon crystals unlike any previously found in Western Australia, the research took a slightly new direction. “It was somewhat fortuitous I suppose,” Dr Barham told news.com.au. Researchers pulled up a vast amount of core material from the drilling to examine the sediment and study certain fossils. They also took a sample of earth to look at zircon crystal and study their chemistry and age to see what sort of rocks the crystals had been eroded from, Dr Barham recalled. Using advanced geochemical fingerprinting of individual crystals as well as in-depth analysis of the sediments and their fossils, scientists were able to determine the crystals were the product of volcanic air fall — despite being 2300km from their original source on the other side of the country. By looking at the age of the material and aspects of their chemistry “we could tell for definite that it came across from the volcanoes on the east coast”, Dr Barham said. The findings from the dig point to the occurrence of super-eruptions over 100 million years ago. According to the researchers at Curtin University, such explosive events would have had magnitudes tens to hundreds of times greater than anything in documented human history. “Such distal projection of a unique volcanic mineral population demonstrates that super-eruptions were occurring in eastern Australia approximately 106 million years ago, during the breakup of the supercontinent Gondwana,” Dr Barham said. 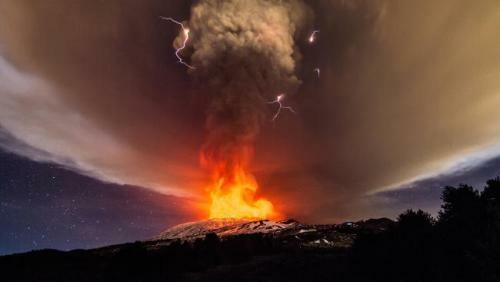 We know about super eruptions in the more recent past. In the last few tens of thousands of years, or maybe a couple million years, he said. “But trying to go back further to prove these super eruptions is really difficult because it’s very difficult to prove,” he added, because much of the geology from the time has been eroded away. But given the use of the sophisticated fingerprinting technology, the team is highly confident about their conclusions. Dr Barham says the findings, which were published in the journal Geology, shine a light on just how violent and volcanic the region was such a long time ago. These massive eruptions “were not enough to cause any mass extinctions or anything like that but animals would’ve died as a result,” he said.